Costin strongly believes in nurturing and promoting public leaders in order to rejuvenate representative democracy and create a more equal and prosperous society. He is passionate about politics, philosophy, literature and meeting new, fascinating people. Costin is currently pursuing a PhD in Political Science at McGill University. 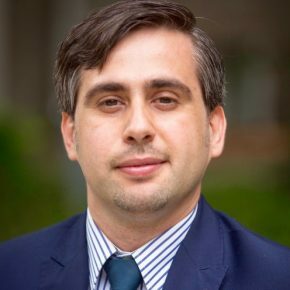 Supervised by his Sauvé academic mentor, Professor Elisabeth Gidengil, Costin will specialize in Comparative Politics (European Union; Central and Eastern Europe) and International Relations, focusing specifically on election forecasting models. Costin is a firm supporter of open politics. In the last seven years, he has been involved in local, parliamentary, Euro-parliamentary and presidential elections in Romania. He has also served as Communications and Policy Advisor to the President of the Romanian Senate and to the President of the Romanian Social-Democratic Party. His expertise in the public sector has been enhanced by working with the NGO “Institutul pentru Politici Publice” (The Institute for Public Policy) and with the Chancellery of the Romanian Prime Minister. He regularly writes political analyses on the Smart Politics platform. He believes that changing politics and government structures are fundamental to strengthening Romanian democracy. Costin holds a Professional Master’s in Political and Social Communication from the University Paris 1 Panthéon-Sorbonne, a B.A in Philosophy from the University of Bucharest, and a B.A. in Communication and PR from the National School for Political and Administrative Studies.